Marchionne's relations with unions have been better in the U.S. than in Italy. DETROIT (Reuters) -- Fiat Chrysler Automobiles CEO Sergio Marchionne's compensation in 2015, not including stock awards, was 10.03 million euros ($10.9 million), down from 31.3 million euros in 2014, the company said in its annual report. Marchionne, 63, received a salary of 3.6 million euros and was awarded 6.3 million in incentive compensation, as well as travel allowance of 126,620 euros, the report disclosed on Monday. 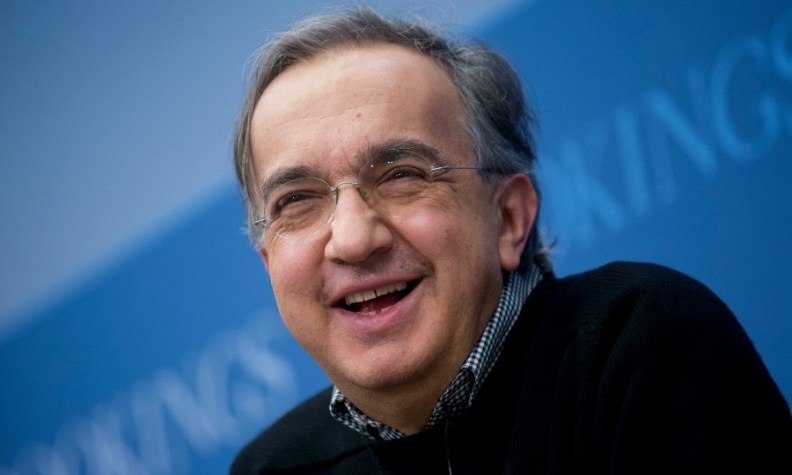 Marchionne's 2014 compensation included a one-time bonus of 24.7 million euros for his role in merging Italian carmaker Fiat with U.S. automaker Chrysler to create Fiat Chrysler.